The Tech Info page is being moved to our new blog. 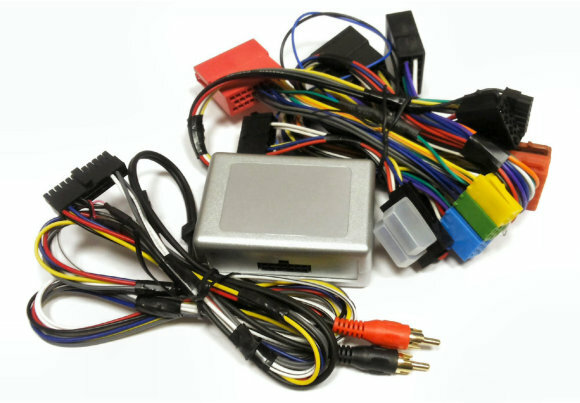 These are the standard 8 pin power and speaker connectors found on many vehicles / stereos. 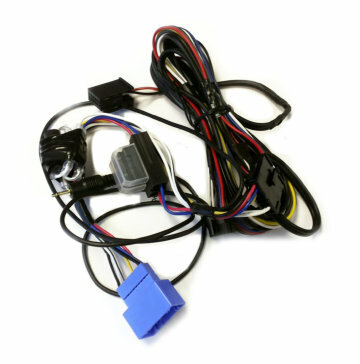 Although the sizes of the connectors are standard the wiring configuration can (and does) vary between different car manufacturers. What is a Quadlock connector ? 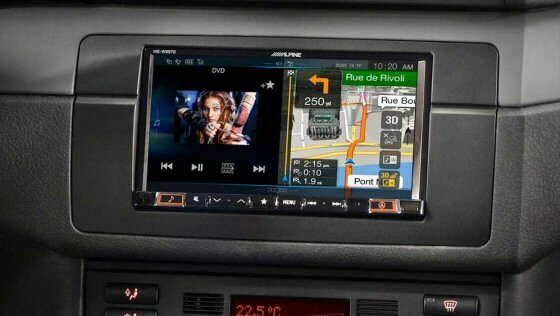 This is a format used on newer vehicles. The connections for power/speakers/cd changer/etc, are integrated into one block that fits the back of the stereo. Car manufacturers use different configurations - these is no standard layout, though the connector block can be the same. My Parrot kit does not show "Good Bye" when shutting down (applies to all Parrot kits with a screen). 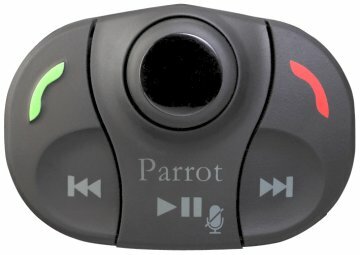 All Parrot handsfree car kits with a screen MUST show "Good Bye" when shutting down. By not shutting down the Parrot kit correctly it can cause memory issues and corrupt firmware (see re-programming section). This is a common installation fault caused by incorrect/poor wiring of the permanent and ignition power feeds. Easily cured by checking with a multimeter and then reversing the power and ignition feeds where necessary. See "Service Call on Parrot handsfree car kit" section. My Parrot kit disconnects when I turn the ignition off even though I am on a call. All Parrot handsfree car kits will remain connected if you are on a call and turn the vehicle off / remove keys from the ignition. Some of the kits with a display will give you the option of transferring the call back to handset (i.e. your phone). If the handsfree disconnects immediately the ignition is turned off, the Parrot has been installed incorrectly and there will be a problem with the permanent and ignition feeds. See "Service Call on Parrot handsfree car kit" section. 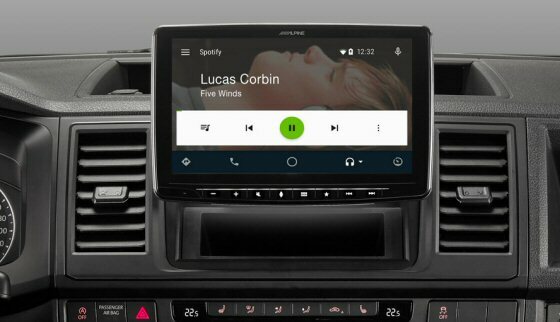 All Parrot handsfree car kits are designed to interface directly with vehicle speakers - this is not the case when an extra amplifier is fitted. As the output from the parrot is already amplified, it can mean that the sound level is far too high when put through another amplifier. The systems can also " thump" when calls are made and received - possibly damaging the amplifier or speakers. We have solutions for most systems (JBL, Bose, Infinity, Dolby Pro-Logic, Boston Acoustics, Honda Premium Sound) - due to the different requirements of each system please contact us via phone or email to discuss. Cannot Pair My Phone to my Parrot handsfree car kit. 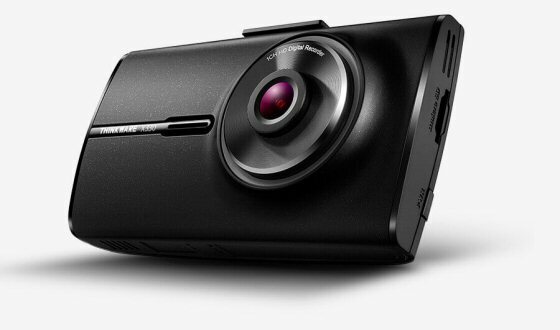 All Parrot handsfree car kits have a limit to the number of phones that can be paired. CK3000 Evo - the max number of phones that can be paired is 3. To clear all existing paired devices turn on the ignition and hold down Green and Red buttons until you hear "memory erasing in progress". You will then hear "please pair device". Search for kit and then pair new phone using 1234 as the pass code. CK3100 / CK3300 / CK3500 - the max number of phones that can be paired is 5. To clear any/all existing paired devices turn on the ignition and go into Settings \ Paired Devices \ Phone(x) \ Delete and then press Green key to confirm deletion. Repeat this process for any other phones that need to be deleted. Search for kit and then pair new phone using 1234 as the pass code. If you see the "Memory Full" message please see "My Parrot kit does not show "Good Bye" when shutting down" section, as the kit is incorrectly installed. 3200LS / 3400GPS - the max number of phones that can be paired is 5. To clear any/all existing paired devices turn on the ignition and go into Settings \ Paired Devices \ Phone(x) \ Delete and then press Green key to confirm deletion. Repeat this process for any other phones that need to be deleted. Search for kit and then pair new phone using the pass code shown on the LCD. If no pass code is shown go into Settings \ Advanced Settings \ Pair with Other Phone and this will generate a PIN code on the screen. MKi9000 - the max number of phones that can be paired is 3. To clear all existing paired devices turn on the ignition and hold down Green and Red buttons until you hear "memory erasing in progress". You will then hear "please pair device". Search for kit and then pair new phone using 0000 as the pass code. 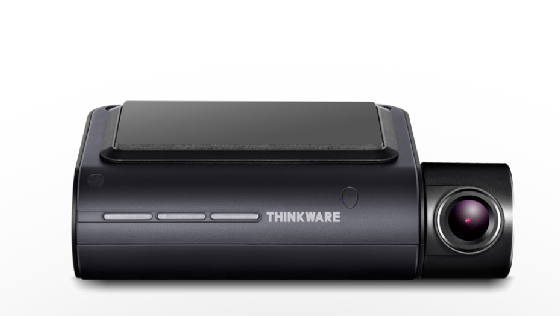 Mki9100 / Mki9200 / RKi8400 - the max number of devices that can be paired is 10. To clear any/all existing paired devices turn on the ignition and go into Settings \ Paired Devices \ Phone(x) \ Delete and then press Green key to confirm deletion. Repeat this process for any other phones that need to be deleted. Search for kit and then pair new phone using 0000 as the pass code.